(OPride) – Embattled Ethiopian minister, Junedin Saddo, is barred from any public activities, government sources told OPride. Saddo is sanctioned from attending the deliberations of the Oromo People’s Democratic Organization (OPDO) Central Committee, the source said on condition of unanimity due to fear of retribution. The meeting, the third since Meles Zenawi died in August, is underway in Adama, about hundred miles from the capital, Addis Ababa. Last July, OPride reported the arrest of Habiba Mohammed, Saddo’s wife, under the questionable allegation of supporting Muslim activists who had been protesting against the government’s interference in religious affairs. 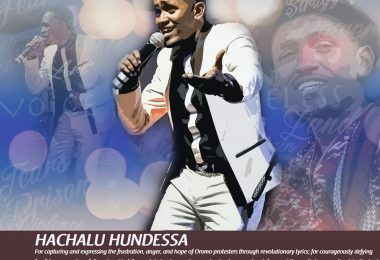 Saddo later challenged the government’s action against his wife and insisted on her innocence, in a letter sent to a local newspaper, Ethio-Channel. The authorities, through an interview given by Abebe Zemikael, spokesperson of the Federal Police Force to another paper called Sendeq, pressed Saddo to recant his letter, which has refused to do. What prompted the government to sideline Saddo, an able and a loyal technocrat, is still unknown. Although the minister veered rarely from the official line, according to our source, Saddo’s alienation is motivated by the desire to forestall any possible opposition against the way post-Meles succession was handled following his death on August 20, 2012. While the rank and file of the OPDO reportedly resents how their party and the Oromo are shut out of power in the pre and post-Meles dispensation, analysts expect nothing consequential to emerge from the ongoing session of Central Committee that has gone on and off for at least three times. The controversy relates to electing a replacement for Alamayo Atomsa, the outgoing party Chairman and the incumbent President of the Oromia Regional State who has been receiving treatment for a terminal illness abroad. The government’s choice candidate is Aster Mamo, the Government Chief Whip with a rank of minister. Should Mamo’s candidacy continue to face strong opposition, Dirriba Kuma, Minister of Transport, and Muktar Kadir, cabinet affairs minister and head of Prime Minister’s office under Meles, are mentioned as front-runners for the post. However, failing to reach a consensus after repeated attempts, the Committee is said to have already postponed the election of party chair indefinitely. Sources familiar with the inner workings of the ruling party expect that a number of the dissenting OPDO operatives, including Saddo, the estranged Civil Service Minister, will be axed in a bid to stump out any risk that increasing assertiveness among non-Tigrean grassroots members would grow to threaten the party’s unity. The fate of Saddo’s wife still remains in limbo. She is in detention awaiting trial. Sendeq, a paper alleged to have close links with the security apparatus, has accused some OPDO members for harboring separatist sentiments. In related news, there are reports of trouble within the Southern Ethiopia Peoples’ Democratic Movement (SEPDM), the party of the newly installed Prime Minister, Hailemariam Desalegn. According to the source, Sidama members of the party are pushing hard to inaugurate a new Sidama state with its capital in Hawasa. 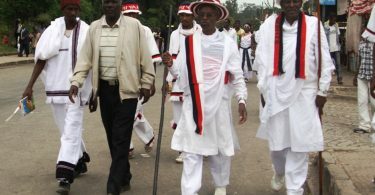 The Sidama is the largest group in the Southern region, 20 percent of the population. The Southern region’s President, Shiferaw Shigute, a Sidama, has accused elements fanning Sidama nationalism as “detractors” in a report carried by the government-owned ETV. Discontents are not new within both the OPDO and SEPDM. In the past, the Tigrean-dominated ruling party dealt with dissent by purging anyone feared to have succeeded in cultivating a loyal political base of their own. However, there is one important thing that makes the current spate of rumbling within the two parties different from all previous ones: the absence of Zenawi. None of the remaining top leaders of the ruling party and government, including the new Prime Minister, enjoy the kind of reverence, as a result of fear of swift reprisals as well as his commanding stature, accorded the fallen leader. Without wielding such power, it is unlikely for the government to implement its wishes in the regional administrations whose autonomy have thus far remained only nominal. 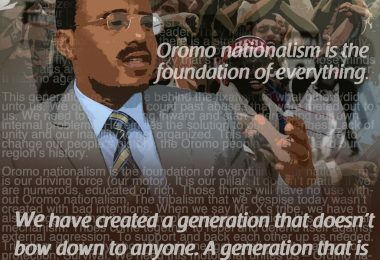 Analysts note that in the post-Meles era, the regions as well as the satellite organizations running them under the tutelage of the Tigrean-dominated ruling party and micromanaged by the centrally-directed security apparatus are likely to entertain hopes for more autonomy in running day-to-day operations. *An earlier version of this article misstated the current titles for OPDO officials and mistakenly referenced Sendeq.